A lot of us have long forgotten those days when we got spontaneous erections, erections that occur without the slightest provocation. Definitions include words like "random" or "unwanted". Of course, some guys can't imagine any erection as "unwanted"! 1. Testosterone. One study showed that "during treatment, the hypogonadal men reported increases in several aspects of sexual activity, including sexual interest and the number of spontaneous erections." By treatment, the authors mean HRT, or testosterone replacment therapy of course. Nocturnal erections were also returned in the hypogonadal men. 2. Nitric Oxide. Cialis (tadalafil) boosts nitric oxide indirectly by essentially allowing existing nitric oxide to persist longer in your arteries. So, if you give a man Cialis, and it improves something, it is very likely because net nitric oxide levels were increased. One study found that giving men Cialis increased their spontaneous erections. 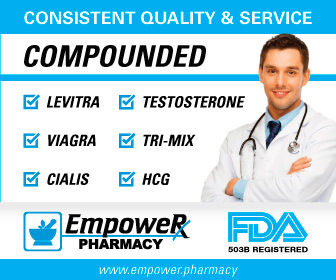 Other nitric oxide boosting therpaies would likely also work and I have many of them here in my Summary Page on Improving Erections . So notice something important: the same factors that improve waking and morning erections also improve sponstaneous erections. Every male has got to work on maintaining adequate testosterone and keep those arteries clear and clean. For more information on the latter, see my links on How to Clear Your Arteries and How to Improve Your Endothelial Function . NOTE: Could the fish oil have really stopped his erections. ?Well, I suppose if it was contaminated or highly oxidized. In addition, fish oil does have a fair amount of saturated fat and some men are sensitive to this. But, in general, fish oil is considered vasodilatory, i.e. relaxes the blood vessels and increase blood flow, so that is a surprising outcome. 2) Journal of Andrology, July-August 1992, 13(4):297-304, "A Long-term, Prospective Study of the Physiologic and Behavioral Effects of Hormone Replacement in Untreated Hypogonadal Men"
3) European Urology, 48(2):326-332, "Resumption of Spontaneous Erections in Selected Patients Affected by Erectile Dysfunction and Various Degrees of Carotid Wall Alteration: Role of Tadalafil"
4) Pharmacology Biochemistry and Behavior, Jan 1985, 22(1):31 35, "Association of spontaneous and dopaminergic-induced yawning and penile erections in the rat"
5) European Journal of Pharmacology, Aug 1984, 103(1-2):81-89, "The yawning-penile erection syndrome as a model for putative dopamine autoreceptor activity"
6) Progress in Neuro-Psychopharmacology and Biological Psychiatry, 1984, 8(4-6):695 699, Effect of apomorphine, a dopamine receptor agonist, on penile tumescence in normal subjects"